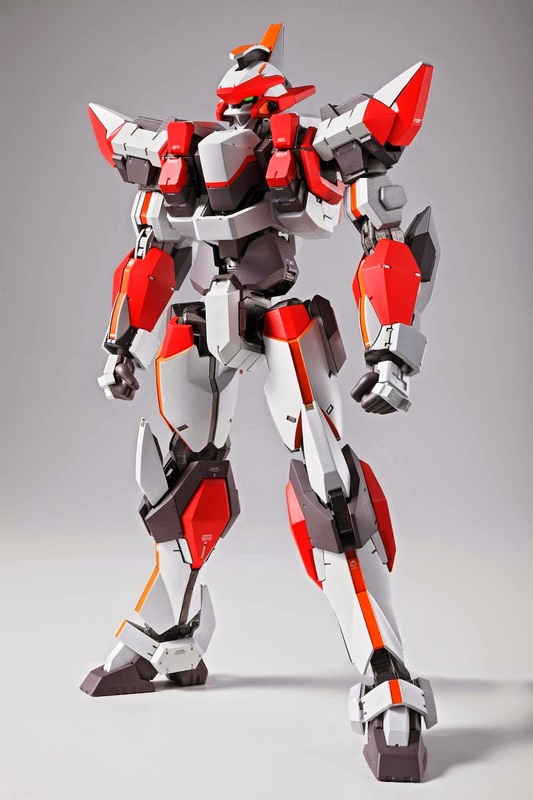 The intrepid Laevatein Arm Slave from Full Metal Panic joins the popular Metal Build series, replete with diecast and an originally crafted design produced by mecha designer Kanetake Ebikawa (Gundam Exia). Intricate systems such as elbow-mounted wire guns, a calf-mounted cooling system, and a torso mounted sub-arm are depicted in meticulous detail. Even the cockpit hatch is adjustable. Also included are a wealth of accessories, including a deluxe display stand, anti-tank daggers (x2), shot gun, demolition gun, monomolecular cutter (x2), pilot figures (x2), Fairy Feather system parts, and 4 sets of interchangeable hands.